COASTAL LOVE DOORMAT by Summerfield Terrace home decor, jewelry, decor, decorations, electronics, fountains, floor mats, art glass, vases, garden essentials, fireplace screens. Love the coastal water? 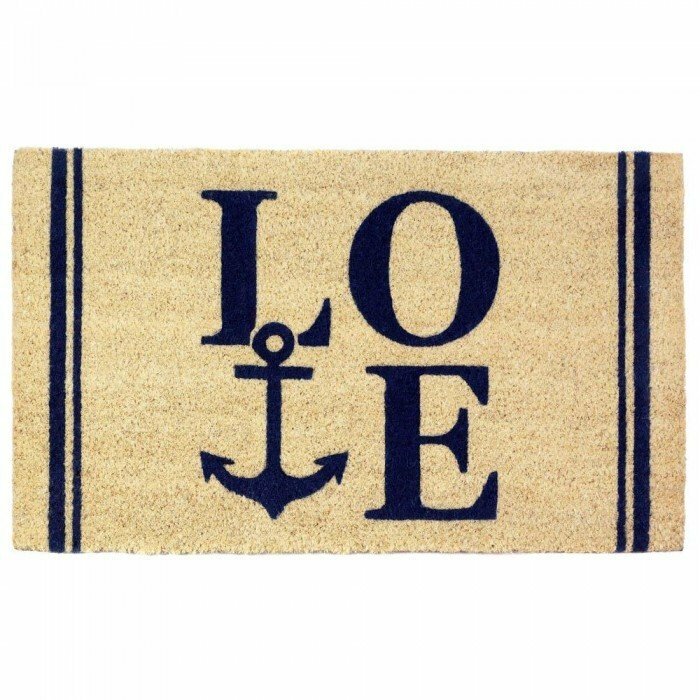 You can welcome a little more seaside style to your home with this charming coir welcome mat. The natural fiber mat has a great navy blue design that will be the "anchor" of your home's entry. Material(s): COIR PVC. Weight 4.4 pounds. Dimensions	30" x 18" x 0.5"